I guess the best place to start is always the beginning. I found out I had qualified for both the sprint and Olympic distance races on New Years Day and finally decided to focus on the Olympic distance. 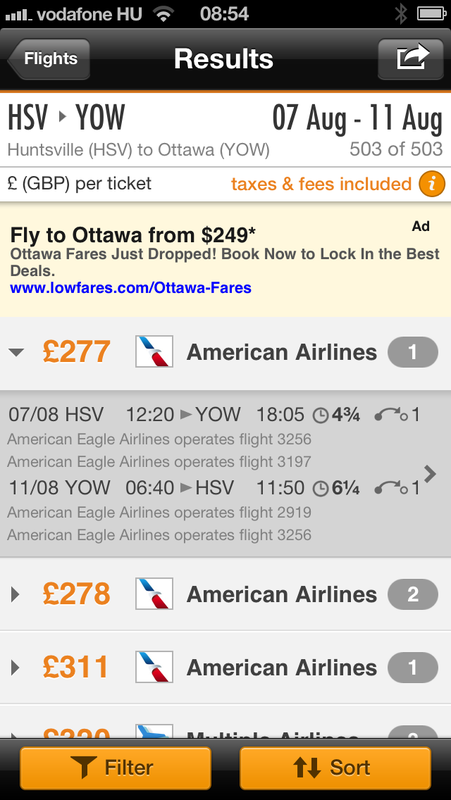 As the race drew near I began toying with the idea of doing both and finally decided too. Unfortunately an easy trail run brought an end to that when I badly rolled my left ankle. After that my training came to a halt for nearly a week before I started to ease back into everything but the running. The only time I ran was to compete at Wet Dog which I planned to use as my dress rehearsal. I took four weeks off from running before I began testing the water so to speak, the only problem was I had about 10 days till Nationals. I used that time to focus on my bike and swim but this was when I decided to only race the Sprint (really my doctors suggestion). 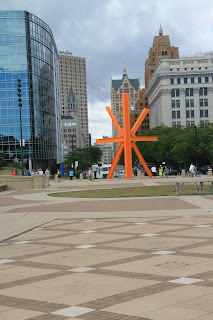 We arrived in Milwaukee about 1 in the morning the Friday before the race. After roughly 6 hours of sleep we went down and got the full breakfast the hotel provided; amazing food and kudos to the chef for being able to remember everyone’s order. After breakfast I picked up both of my packets (we weren’t able to cancel my Olympic distance registration) and then hopped in the water for a quick swim. It didn’t seem like it would be all that cold and wasn’t but the chill I received after jumping in the water reminded me how much I dreaded cold water. I managed to brave the cold water without a wet suit and jogged an easy mile before attending the rules briefing and checking out the expo. Chrissie Wellington was at the expo signing autographs and selling her book but I decided food was a necessity and would try to make it back in time for a picture, I unfortunately ended up about 30 minutes late. 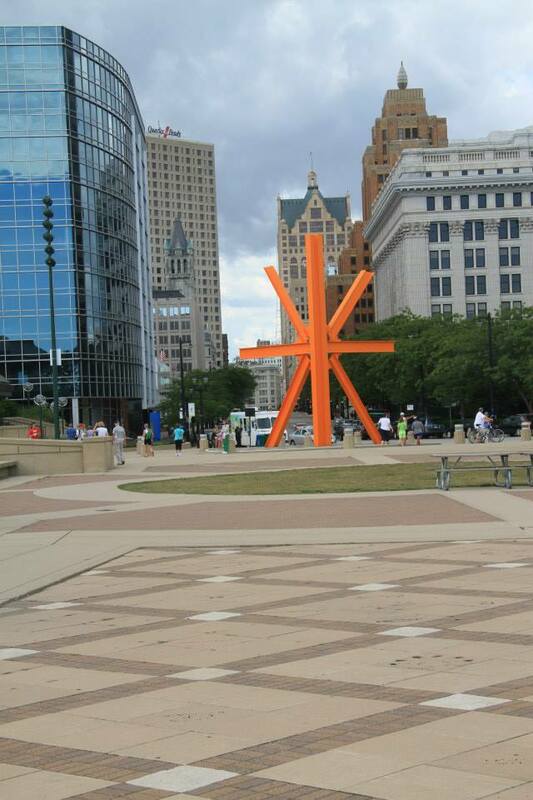 Milwaukee is a very beautiful city, but the people there must not get very hungry because we spent about an hour and a half trying to find food, finally settling for a sketchy Wendy’s. After dinner we went back to the venue to relax and study the race set up. 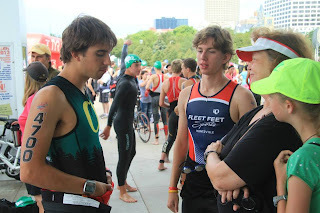 The next day I watched the Olympic distance race and cheered on Evan Pardi whom I raced at Heel and Crank last year and who now races for the University of Oregon. Then I checked out the Discovery World Museum which was a great experience. After a light lunch we made some last minute checks to my bike and then I checked it into transition for the night, only after memorizing the exact latitude and longitude of my spot (I sort of lost my stuff at Wet Dog in T2). Race morning I awoke at 5:30, grabbed a yogurt and watermelon and set up my transition at 6:15. Because I didn’t race until 9:30 I went back to the hotel and ate a PB&J and some more yogurt. By 8:50 I had my skin suite on and ready to rock and roll, only a racer disappeared in the water and everything was shut down for 45 minutes, it turned out the he had crawled out onto the bank. During this time Evan (placed 19th in his AG the day before and was doubling up) and I talked. After about 15 minutes I couldn’t help but be a little envious of his long sleeved wet suit because a storm was starting to roll in, complete with cold wind. We finally got in the water and lined up on the front. 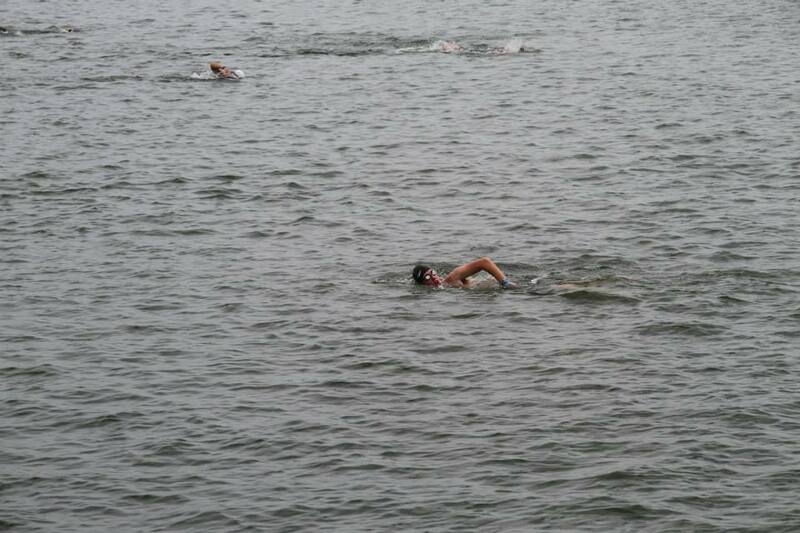 Having never been in a crowded mass open water start I was pretty calm. The horn sounded, I started my watch like I always do only to find a wall of kicking feet. I then took a nice constant barrage of hand, feet, and elbows to my head for about 5 minutes. Someone kicked as I was breathing near the end of that 5 minutes and I unfortunately took 85% of the splash down my throat and calming spent the next 30 seconds attempting not to puke to much as I swam. I finally hit calmer waters, regained my form and took off but the damage was done. I came out of the water and saw I was about 3 minutes slower than I had planed to swim. As soon as I got my feet in my bike shoes I new I had a ton of time to make up and was not in the slightest bit happy so I threw all my rage into the bike. The bike had two turn arounds and three massive climbs. I hit the first climb, shifted to heavier gear and stood up pounding all the way to the top. Having worked on likes lately I gave it my all to the top, made the turn around and pounded it out back down making gravity my new best friend. The course backtracked be transition staying flat as we went by some large estates on the right and beach to our left. 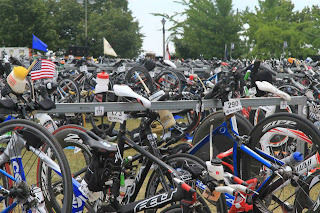 As soon as we passed transition we started the long climb onto the interstate and across the bridge which was close to a mile up overlooking the city and unfortunately for me and my disc wheel, Lake Michigan. I again stood up but had to really work to keep my bike in line. Had one near mishap where the wind made me bump shoulder with another racer as I passed, thankfully there weren’t any refs watching me at the time. There were some photographers near the top of the climb so I made sure to really put the hammer down there hoping for some epic photos (still haven’t seen them yet, I’m kind of depressed). I started to feel the climb some on the decent but it ended up being a little more of a case of watching for bumps in the road and keeping the wind in check. By the turn around I had fought my way back into 18th place in my age group and Team USA and didn’t plan to loose it easily. Once we started back up and over the bridge (the back side was slightly steeper) it was straight into a strong head and crosswind. That climb consisted of me keeping the bike in a straight line and not think of the increased burning in my quads. So I did what I’m best at on climbs, I put my head down and stood back up. Once I reached the top it was straight down, around a blind curve with a bush and into transition, because of the bush I didn’t push the pace very much. I got toT2 in between groups so I didn’t have to fight anyone for the line and managed to switch shoes and get out in under a minute. I left T2 in 18th place still with my Team USA slot, still not letting you pass me! I managed to hold a solid pace and avoid getting overtaken until the first aid station, then I started to feel the ride. By mile two I was really feeling it and lost two places but they were not in my age group so I let them go. Plus my feet were still numb from the cold, not my favorite way to run but it happens. With a mile to go I picked up the pace some but my quads weren’t too pleased with the idea, a couple people got by me but I didn’t notice their age. Then with 3/10ths of a mile to go I saw my sister yelling something about pick it up at the road, I really didn’t feel like asking for specifics at that time. Then with 2/10ths to go I saw my mom saying, “better go now!”. I summoned all my will and picked up some ,hearing breathing behind me. I though it was the older guy that had been on my shoulder since I caught him at mile 2. As I made the right turn onto the road I let up just a bit and this junior from Tennessee I talked to before the race flew by me, I tried to come back by him but my body had just about had it and I started dry heaving with 1/10th to go and lost him. He would beat me by 14 seconds. As I approached the red carpet I saw the guy that had been on my shoulder make a move and I just managed to pull out enough of a sprint to edge him out at the line. My watch said 56 minutes and I was sure I made the team. As it started to rain I hobbled over to my dad ( I’ve finally shaken the quad soreness and can walk and all now that its been a week) and talked to him about the race while it was still fresh on my mind to help determine my future training. Then I flipped through my watch to learn that 56 was my bike run time, with my swim I did over 1 hour 8 minutes and I new I had missed the team. 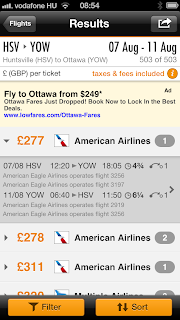 I didn’t yet know by how much or if I actually had but it was looking doubtful. Once I got a pork wrap and some Doritos in me I felt somewhat better but by then I knew I hadn’t made the team and it was a little harder to swallow than the chips. Looking back I realized my mistake had been starting my watch in the water which caused me to fall behind and get stuck in the chaos of my first mass open water swim start. I enjoy learning from each race and improving but this was one I wish I didn’t have to learn. I will not be racing with a watch for a long time now. Final results were 22nd in my age group and 133rd overall, I was in the company of the best of the best in the nation so I can’t complain. I had one of my best races, left it all out on the course and had an amazing time! I will defiantly be back again next year if I qualify. I would like to say thank you to everyone who believed in me these past 8 months and encouraged me: my family, friends, team members and training partners. Next up: Frantic Frog!!!! Early bird does get the worm as I got an early start through gate 9 and arrived at the race site by 5:15, avoiding congestion. 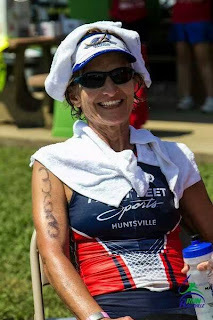 I managed transition setup and many trips to the bathroom before 6:00, and then it was off to warm up with a swim and jog with friend, Angela Jo Harris, who was from South Carolina. 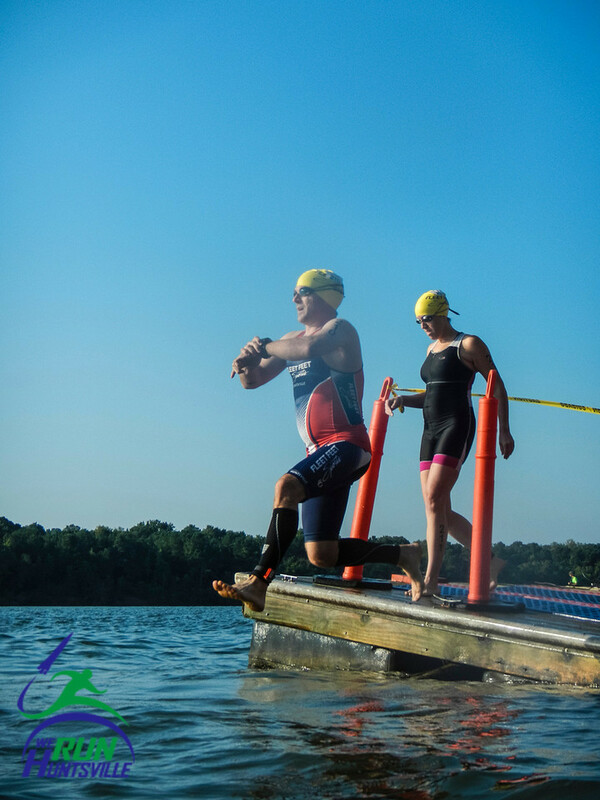 After a wonderful introduction of athletes from Suzanne Erickson prior to the entrance into the water for the swim, I calmly began my stroke, but it was relentless forward motion in choppy waters. I kept my stroke easy, but on course, without losing sight of the first turn buoy. It was tough swimming against the current! After the second turn buoy, I was able to pulse forward, weaving to avoid struggling swimmers. With elbows, punches into my side, and kicks against my head, I managed to kept on course. My sighting has improved since 140.6 training camp. I remember not long ago, I was one of those struggling swimmers. I swam until I was scraping my knuckle on the boat ramp to exit with wonderful volunteers tapping on my head saying "exit swim here". Then, I was off to T1 in a short dash. Bike leg was easy the first 10 minutes, then I picked up the pace as I had planned. A tiny headwind... okay... a LOT of headwind. I delivered a descent bike leg -- only 2 minutes slower than last yea,r with encouragement from many friends and Fleetfeet Triathlon Racing teammates on the course. 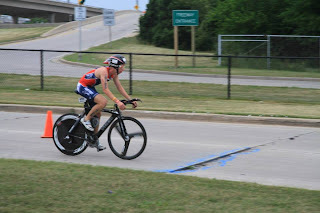 T2 was pretty quick for me, then I was off to what it is I think is my favorite part of triathlons....the run. The first part of run on trails and shade was "ahhhhh..." nice! That's where teammate Josh Pierson photo bombed me. He had so much energy! That nice shade feeling didn't last long, as I entered the hot sun (though it was not as hot as last year) and attempted my first water stop, with the new hydration water bags. I tore it open with my teeth and ruptured the bag. I opted out of the normal cups. My finish time 3:18:?? (2012 time was: 3:01:00. The swim was short then, this year's was long). I was 4th in my age group with 2 minutes away from a podium spot. My time was the same on the run this year as last year. All-in-all, I thought that it was not too bad, considering that it was only two weeks after my "A" race -- the World Championship in Canada. Rocketman!! By far the best triathlon I have ever done (not that I have done many). So many things make this venue great; location (my training grounds), people (lots of awesome folks), distance (get some of that), etc.!! This was only my second time to race Rocketman, but it has already become a must do event for me. Leading up to the race I honestly was feeling a bit of triathlon burn out. This season has been a long one for me with my training starting back March. After the Long Distance Triathlon camp (end of July) I pretty much switched over to mainly running and just tried to squeeze in at least one bike ride a week. I did not even swim at all since the end of July. The good thing is that it kind of took some of the race pressure off of me. The morning of the race started early for me. I was up at 4:20am to eat my breakfast (cheerios and banana and blueberries) and drink my coffee. Before I realized it 5am had snuck up on me and I hustled out the door. I met my good friend and local Arabian training partner Ricky Morrow on the way. He followed me so he could go through gate 8 which is closer for us. On the drive I realize that I had left my watch at home. I usually just wear my regular timex watch for triathlons to grab my splits. Oh well I thought. Honestly not a big deal. It isn’t like a look at it while I swim, I use my computer on my bike for pacing, and I just run on effort anyways. I get down to the river and park in the field. Already there is a full row of vehicles here. I get all my stuff and head to pickup my packet and then body marking. I grab my timing chip and head to transition to get everything setup. I lay everything out and realized I probably brought too much stuff to transition with me (sorry David Rawlings)!! With all that done I hurried back to help with body marking. Lots of fun marking people up! With about 10 minutes to race start I head back over to transition to grab my swim cap and goggles and to look back over everything. I was so happy to see that I was sandwiched between David Rawlings (the man, the myth, the legend), and another training partner Matt Groves!! It really was awesome having those guys next to me in transition and knowing they were going to be starting close with me. The time before the race start is always so much fun for me!! I am a cut up and joking around and having fun with your friends helps ease race nerves. The biggest topic at the race start was how far that first buoy looked. No big deal for me. I swim slow and steady no matter if the course is short or long, haha!! I lined up just behind Matt Groves, who is an incredible fast swimmer, and we move down the platform and off into the water. I knew the first leg of the swim would be against the current, so I really focused on staying in swim position and just staying steady. That first leg took a really long time to get to the first turn, but it went without any problems. 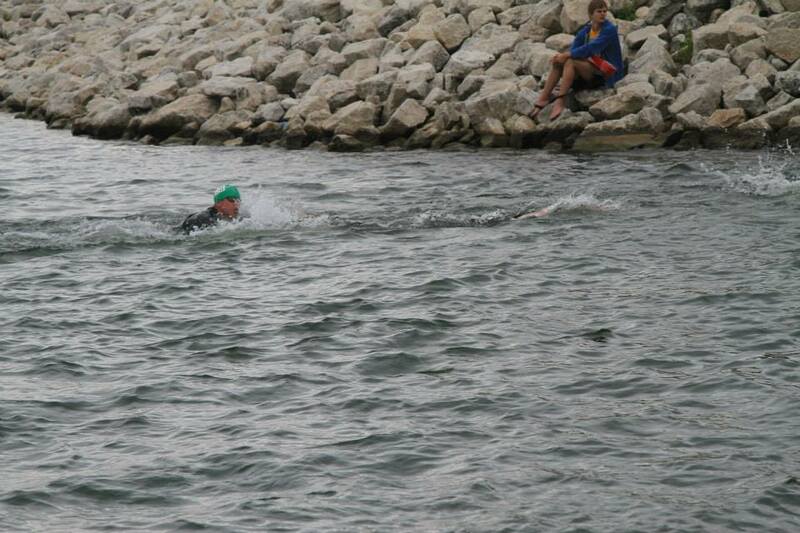 The short leg out into the channel was by far the worst part of the whole swim. It was very choppy because of the wind I drank a lot of water. On the long stretch back to the swim exit I really tried to push it. It felt great but by the end my arms were dead!! 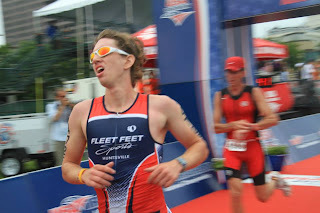 I always feel so disoriented coming out of the swim in a race. I made a few comments to the spectators about how swimming was stupid and got a few laughs! I headed straight to my bike. Lucky for me someone had marked our row with some purple tape before the race and I had taken a mental note of that, so it was easy to find my bike. I quickly get distracted as I hear a crowd of people (Rob and Kathy Youngren and a few others) yelling my name and cheering me on!! That really gets me pumped up!! I hustle to get my gear on and head out on the bike! Well very quickly I realize that my bike computer isn’t working. Ugh. I must have bumped the sensor or something. So, I am rolling along going about 0.0mph, haha!! This was actually a bit frustrating for me. The bike is so much harder to judge pace and effort on. I just tried to keep a hard effort hoping I am not pushing too hard. I only got passed by a few people, one of those being Dink Taylor!! Holy cow he was moving!! The wind was pretty tough out there on the East bound sections of the course. I just focused on staying down in my aero bars and keep my legs pedaling. I like this bike course. I enjoy seeing other bikers ahead and behind me. It was great seeing other Fleet Feet race members out there and cheering them on!! Keeps me motivated! I took some Honey Stinger blocks early on the bike and took a Honey Stinger Ginseng gel towards the end. I tried to empty my bottle of Gatorade and sipped some of my water. I was feeling good as I pulled my feet out of my shoes and got ready to dismount the bike. 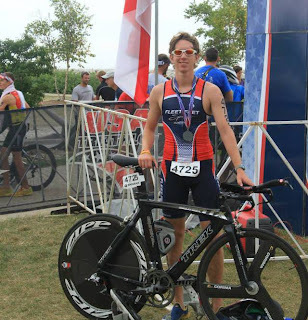 I ran into T2 put my bike up on the rack, pulled my shoes and visor on and headed out for the run. This run course is tough. Hills, gravel, sun, out and backs, everything you can imagine that would slow it down against your will. I just tried to relax and find a good rhythm. The first aid station just past the first mile and at the top of the first hill is manned by fellow Arabian and epic runner Ruth Vandzandt, her husband Lynn, and the Grissom JROTC kids! Ruth is an inspiration. She is one of the toughest old school runners I know. I knew heading up that hill I had to put on my game face, which is a smile of course!! They cheer me on and I am already looking forward to seeing them again on the way back! I again see lots of fellow team members out on the run course giving it all they had!! We always exchange encouraging words and keep pressing. Seeing that last aid station again was great! I ran over and gave Lynn a high ten and he cheered me on!! 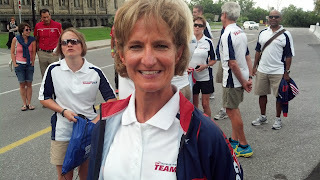 You talk about being fired up to finish hard, Lynn is an awesome motivator!! I pushed it hard all the way to the finish line feeling pretty happy! I had a great race and enjoyed all the stories that followed!! Thanks to everyone who was out there supporting, racing, and cheering everyone on!! Let’s do it again next year! The day began, as most race days do, much too early. I was coming off of an incredibly lazy week (some people call it a taper) after the epic 5 mile swim last Saturday. I hadn’t raced in over a month (since Wet Dog) so I should have been rarin’ to go. Mmmm. Not so much. I had spent the day before lounging at a friend’s pool with the children, and had not made sure I had something healthy to eat in the morning. I started pawing through the pantry, and discovered that we had three open boxes of pop tarts all of which were out of date. Pop tarts can go out of date? Who knew? Luckily I found some peanut butter crackers, so I ate those with a cup of coffee and started getting my gear together. I applied my tri-tats, double checked my gear bag, and was on the road by 5:20 am which I figured was plenty of time to make it from Scottsboro to the arsenal, get transition set up and do a little warm up. Well, I figured wrong. Between a back-up at the gate, and the back-up at parking, I was lucky to get my stuff to transition by race time. Luckily, Rocketman took pity on us and delayed the start. Sorry to everyone I didn’t speak to while I was rushing around trying to get all my pre-race stuff together. It didn’t help that I forgot my sunglasses and had to hike the mile back to my car to get them. I just counted that as my warm-up. It was the only one I got. (I did try to pedal a bit on my bike while travelling from the car to transition, but my gear bag swung off my shoulder and crashed into my front wheel nearly causing me to wreck so I gave up on that. 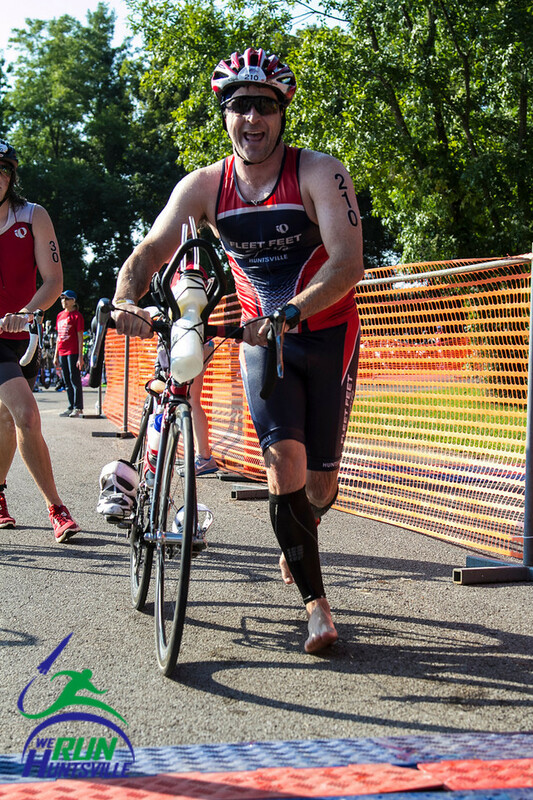 If there were an award for the most uncoordinated triathlete, I would be the grand champion). Hanging out at the swim start I finally relaxed and started chatting with all the awesome people that do triathlons, and that improved my mood greatly. The weather was perfect, which also helped. I had seen a red fox run across the road on my way to the race, which I always consider a good omen, so I finally started feeling pretty good about the race. Not “I’m going to rock this race” good, but “I love this stuff and can’t wait to get started” good. I was 161 going into the water, which turned out to be a good position for me. I passed a lot of people on the swim, but there was always plenty of room and I enjoyed just being out there stroking through the water. I came out around 31 minutes and felt calm and energized. Because I hadn’t ridden much recently, it took me about 5 miles to really get into a groove on the bike. But after that it was pretty enjoyable, and because I hadn’t been near the front of the swim I didn’t get passed by as many hammers as I usually do. There were some windy parts that slowed me down, but I wasn’t obsessing about my pace, I was just trying to keep my effort steady. Bike leg 1:12:42. Coming off the bike I felt shaky on the start of the run. My legs just weren’t as peppy as I told them they should be. But I love that first part of the run that goes through the woods, so I just plugged along and waited for things to feel better. Sure enough, by the time I hit the gravel road, things were starting to come together a bit. The hill reminded my hamstrings they were needed, and to get on board. After that the run was good. I wasn’t burning up the course or anything, but I was keeping steady and felt happy to be out in the sun having a decent race. It never felt as hot as I had been dreading. The little bags of water tasted weird, but they were easy to use and I could keep running while drinking from them without splashing it all over my front like I do with the cups. It was also easy to squirt just a little on the back on my neck without soaking my shoes which is what happens when I dump cups of water on my head. So except for the chemical taste, the water bags were a plus in my opinion. Timothy Pitt blew by me near the turnaround, being all cheerful and encouraging and stuff, which was actually an awesome boost to my morale. We really have great team members. I finished the run in 53:21. Total time 2:39:45, good enough to win my age group (since wicked fast Lesley Brainard won masters). That’s it for my tri season 2013, it’s been a fun one and pretty successful for a hack like me. I will see all you tripeeps at the Frantic Frog where I will be volunteering. I will have my first aid kit handy but hopefully will not have to sew up any toes this year, right Rick Greif? P.S. The wedding of Rocketman and Rocketbride was absolutely charming and an awesome way to wrap up a great day. May their life together be as exhilarating as a race plan coming to fruition! Ironman Louisville 2013 turned out to be a bit of a challenge for me personally, but more on that later. 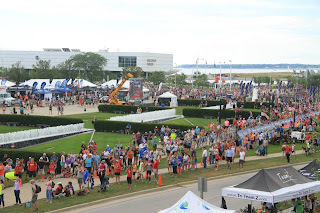 Let’s take a look at the venue and how the World Triathlon Corporation (WTC) has changed since I have previously done one of their “official” M-dot races. First of all, I must say that WTC has stepped their game up significantly which I believe is due mostly to the growing REV-3 series. Ain’t competition great? 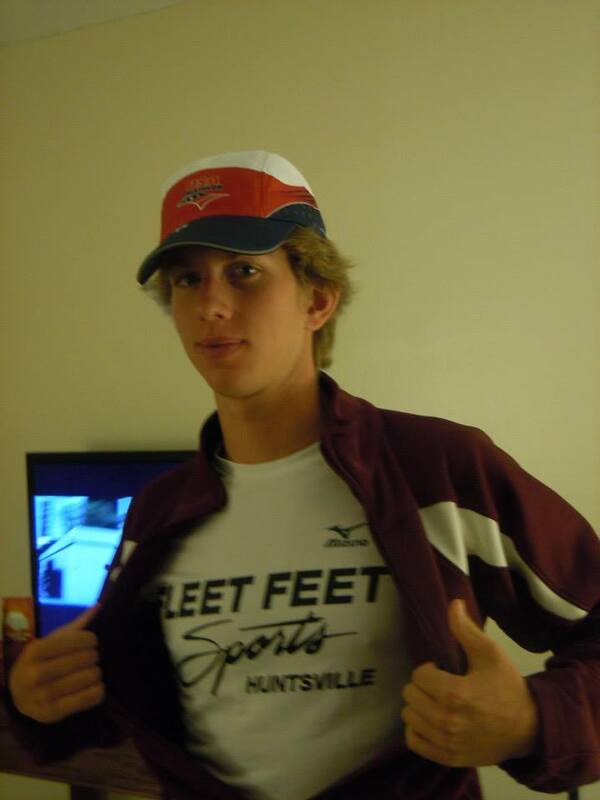 Swag was significant; a nice Tech T, hat, and super cool, high quality Ironman Louisville backpack. Athlete check-in was very smooth with minimal “line” time and very well organized. The race venue was really nice with lots of hotels within walking distance to choose from. We opted for Econo Lodge only about 4 blocks from the race site. The room was great with everything we needed for $109/night. Eating in the area was phenomenal. Personal attention to the athletes was evident everywhere. At bike check in the day before the race, as each athlete entered transition, they were issued their own guide. They walked each of us individually through transition, helped carry bags, showed us where to rack our bikes, then walked us through the transition flow from beginning to end so there would be no surprises on race day. VERY IMPRESSIVE indeed! Race morning issued what I consider to be a huge bump… The time trial start! 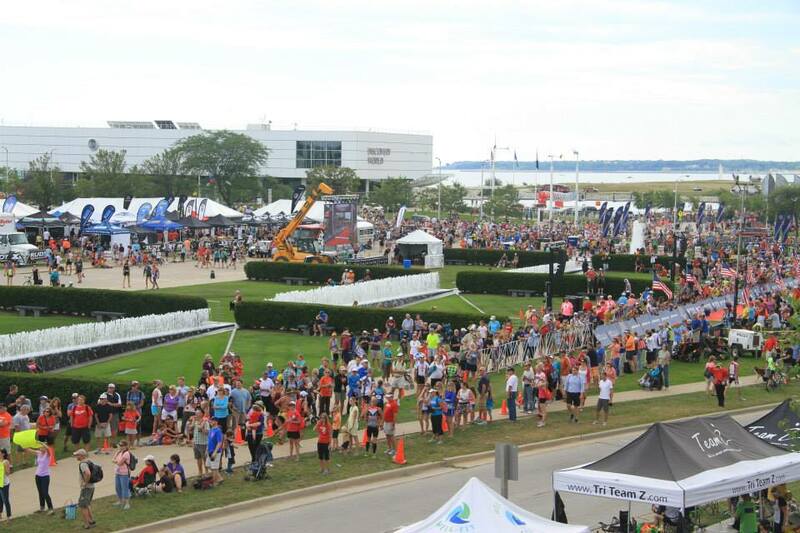 Picture a line down a sidewalk with 3,000 athletes standing there waiting for the start, FOR 2 HOURS! There’s no telling what time the first 1,000 got there… Obviously there are numerous insights as to how to handle this congestion. Most everyone had folding chairs with them. You could have your friends, spouses or what have you there, they just had to be on the other side of the sidewalk from you. So in reality it’s like two parallel lines. One with 3,000 athletes, the other with much more than that in support crews. Then there was the port-o-can lines. I stood in one for 30 minutes. This entire line and waiting thing ironically affected my spirit for the whole day. While I was counting off the waiting time, I said to myself I would never do this race again for this very reason. I think that mentally hurt me for the day. Anyhow, once 0700 hrs came, the line became a quickly moving procession down to the docks where we were jumping off something like 4-5 docks approximately 6 at a time from each dock. I had expected the standard timers there telling you “go”, “go” etc. Nope, by the time you got to your dock you were at a run then kept running down the dock till you saw a clearing and jumped for it. All in all, this was very strange to me. We swam upstream in the Ohio for about 1/3 of the swim, then turned and headed downstream. The crowd in the water was well dispersed and the swim was easy (though in my case very slow). On to the bike course. The first 30+ miles of the bike was very crowded until the hills started separating everyone out. Three comments on the bike course. Unbelievably scenic ride! Horse farms, rolling pastures, fancy subdivisions, quite a feast for the eyes. The course in my opinion was reasonably tough as far as hills. It had lots of rolling hills. No climbs, just rollers, quite fun actually. One minute you were screaming down a hill at 30+, then dropped to 10 as you worked your way out. About half of the course was over fairly rough roads. I hate riding rough roads, ‘nuff said. Now for the run. This was a two loop run course, very flat, lots of support along the way and lots of spectators along the whole run. I’m not 100% sure of what happened to me on the run. I got off the bike, which I was very happy with, then started out at a painful 10:20 pace for the first two miles. I think between my bad attitude (and yes, I know better than that), and maybe not having enough running miles in for my training, I just …(it’s almost as hard to type it as it was to do it)… walked! I would guess I probably walked a good ½ of that marathon. It just wasn’t happening for me on that day. This is all proof positive to me that you can put in the training, you can know and follow your nutrition plan, you can have everything just right, then on race day someone rearranges your deck of cards and it all comes apart. Yes, I was, of course disappointed in my time. However, I do consider myself very blessed to be able to finish, and having a good woman waiting for me at the finish line to get me home. On an aside. I have NEVER seen so many ambulances running back and forth, not to mention runners scattered along the road, lying down with Paramedics, EMS, Police and such attending to them. I think I know why this Ironman race takes so long to fill up. 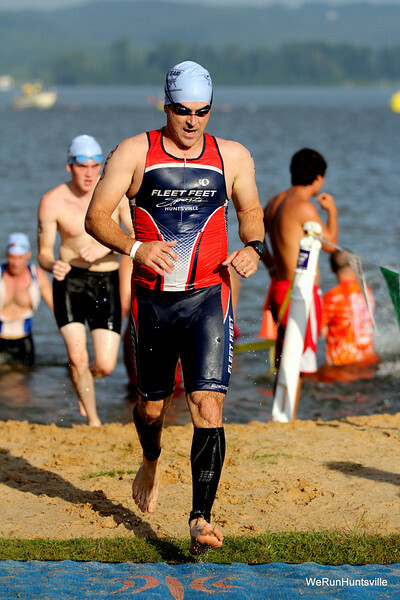 Personally I’m ready to get back to racing at the beach (where triathlon was birthed) and stop with the dirty river swims, and enjoying a little bit cooler temps. See you all at Ironman Florida!!! Excuses out of the way up front...I have been traveling the 2 weekends prior to the Rocketman. No matter how good my intentions were, training suffered. Schedule and/or weather really took a toll in the 3 weeks leading up to the race. Now on with the story of Alabama's finest Olympic Triathlon --- ROCKETMAN! This is my 2nd year to race Rocketman (not counting 1 year on a relay), so I felt confident that I could improve my times and be able to say "PR" when it was over (caveat with the swim time/distance). Pre-race day schedule....Sleep in, Rocketman Volunteer, coach soccer game, finish Rocketman Volunteer, and Daddy-Daughter date...Nothing to motivate you for race day like Smurfs 2. Woke up at 0400 so I could secure a good parking spot, since rack position is based on race number. Parking was different this year, so showing up early wasn't really worth it. But it still gave me plenty of time to mentally prepare without feeling rushed. I unsuccessfully tried to bribe my way to the volunteer parking (it was a little closer). Found my bike rack and set up transition. It wasn't a bad spot, but was middle of the row about 3 rows from the front of transition, and I knew I would end up going down the wrong row coming out of the water. Got in a short warm-up on the bike. Not the best warm-up with traffic congestion and I prefer a flat area to do a few openers. A little surprised to see a uniformed USCG Auxiliary Commander come cruising around traffic in my lane angrily pointing at bikers (trying to warm up) to get out of his way. I really wanted to stop right in front of his car and ask him why he didn't show up earlier. It would have been very entertaining, but I decided I didn't have the time to deal with the tardy Commander. I appreciate their support on the swim course, but this guy was a hazard to all the bikers and had a bad attitude. Finished up my bike warm-up and made a short 1 mile run to make sure all the joints were awake. Again, I am late for the picture?..Nope, it's picture time and as I'm leaving my running shoes in transition I spot Gregg (woo hoo!). I remind him our team picture is at the swim start in about 10 seconds. When I get to the swim start and finish the team picture, I decide to take a look up river to try and find the first turn buoy. Can't see it! It's out there somewhere. As the swim numbers began to tick off, I line up 3 places behind Dennis Mix. Objective is to catch his feet and draft the whole course. I ended up entering the water 2 "goes" behind him and never found him. SWIM: Found a set of feet early on as they passed me, but after a few hundred yards the swimmer kept slowing down to site. This caused me to keep running into his feet. So I decided to pass him and swam the rest without the advantageous draft. Overall, the swim went well. I avoided the crowds and held a pretty straight line between the buoys. 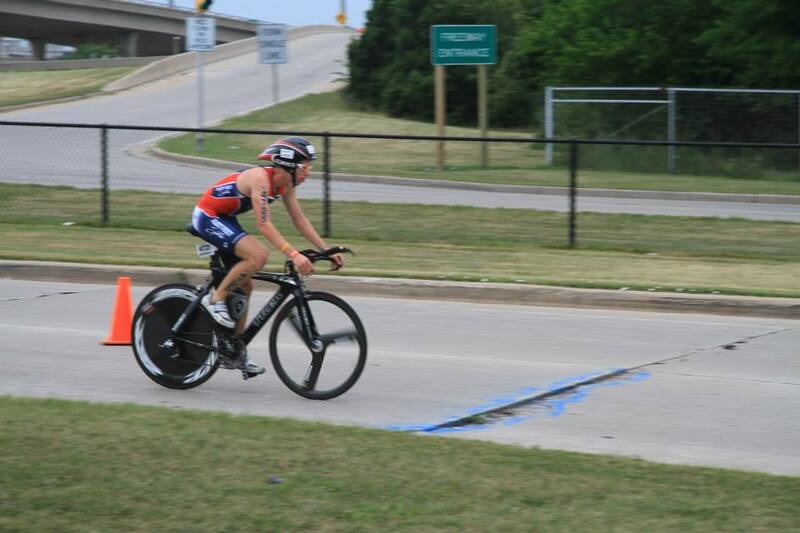 I think I left a little speed out there, but came out of the water feeling good and ready to bike. T1: Steve Skonieczny and I came out of the water at the same time and fortunately he was racked right next to me and he remembered which row our bikes were on. I followed him into transition and made it out of T1 in 44 seconds. This was 2nd fastest in both the Military Division and in my AG. I point this out to show that I have no "free speed" left. If I want to get faster, I've got to train more or buy it. BIKE: Bike course was as expected. I used 2 Apple Cinnamon Hammer Gels and sipped a one-hour bottle of Hammer Sustained Energy. Still testing out different nutrition strategies as I prepare for the Goosepond 70.3. This is my home drone and didn't hold any surprises. The only excitement came as I was making my way up the final hill and noticed something in the road. At first I thought a biker had wiped out. Then I realized there was no bike, so maybe a runner had tripped over their feet. Alas, as I came closer it was Gregg Gelmis taking another set of awesome triathlon photos. 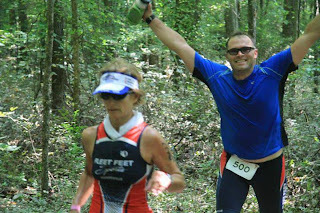 The Huntsville triathlon/running community is incredibly fortunate to have Gregg. He takes awesome pictures and makes them available right away. The negative side of the day was the wind. It felt great pushing 26+mph on the east bound sections of the course, but this was negative by the 16 mph average ont he west bound sections. I averaged 20.3 mph which is 2 mph faster than last year. IF I can pick up that much speed again before next year's race, there could be a podium in the MILITARY category. Always optimistic. 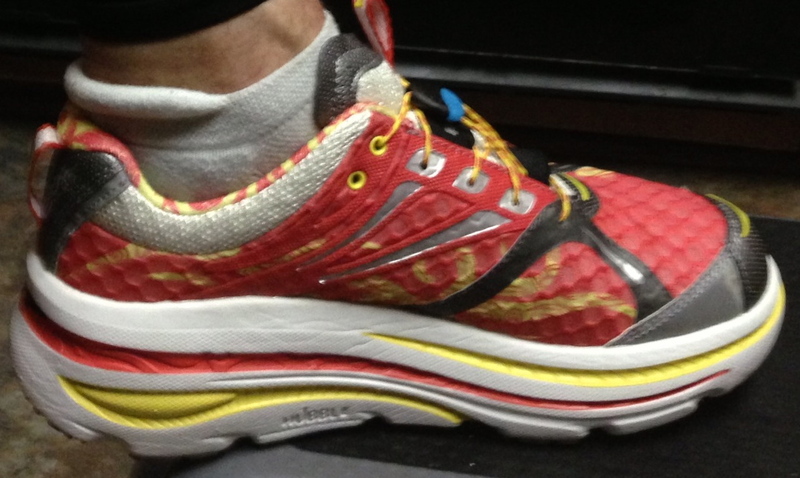 T2: Another fast T2, even though I decided to wear socks with the new Bondi Speed Hokas. I've only been running in the Hokas for about a month and haven't tried them sockless. I can say they are almost as light as my Sauconys and they provide incredible cushion, especially on a hilly, gravel course section like Rocketman. Even though they are heinously ugly and look as big as Little Bill's shoes. I only have about 50 miles on them, but I’m very satisfied with their performance. RUN: You can’t always compare the swim because the distances can vary from year to year, believe it or not. You can’t always compare the bike, because a wind can make a difference. But the run is usually pretty much the same, minus some minor chance of an unseasonal heat wave. I wanted to break 8 min/mile this year. Got the first mile in at this goal, but slowed down after that and ended up averaging an 8:16 pace. This was 14 seconds per mile faster than last year, so..wait for it….PR!!! This course brings it all….trail, gravel, hills and heat. Oh yeah, and that wind on the bike course, never saw it on the run course. The “Water In A Bag” on the race course was great. No it didn’t taste like heaven, but it was wet, cold, easy to drink, and served a dual purpose of cooling, if you “stored” it next to your skin before drinking it. It was definitely easier to drink from than a cup, and you could carry it and consume it at your own pace between aid stations. Furthermore, I discovered that if you happen to have a spare bag and you’re approaching the next station you can use it to squirt the runners going in the opposite direction….not that I would…, but you can. I’m not sure that this was an intended use. Made it 7/29 in the Military category at 2:39:08. This would have put me at 19/38 in my AG. This was another well directed race by The Rocketman Mike Gerrity. Kudos to Katie-Beth Pierson as the volunteer coordinator. As a racer, it seemed to be a very smooth race. Saving the best for last was the Rocket Wedding. I’m not sure that I will ever again have the opportunity to attend a wedding at the race venue immediately following the race. Triathlon weddings are pretty cool, and I generally don’t like going to weddings. 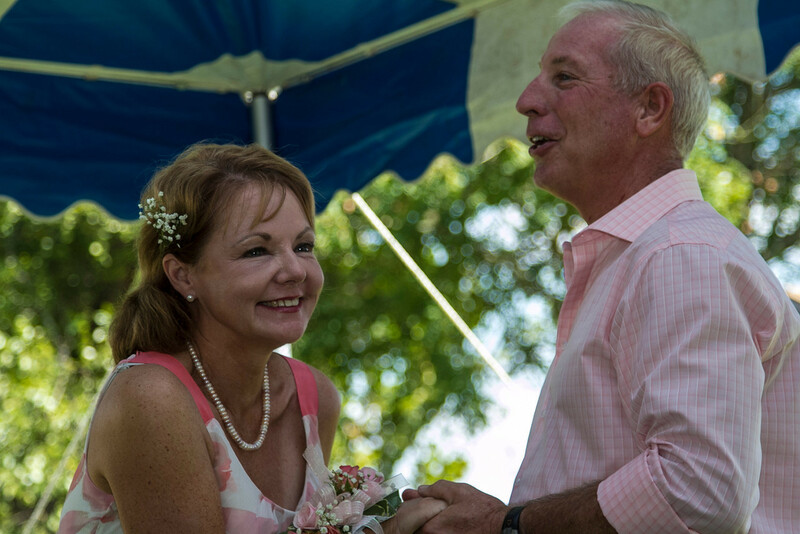 Congratulations to Mike and Debbie! See you all at Frantic Frog. !! 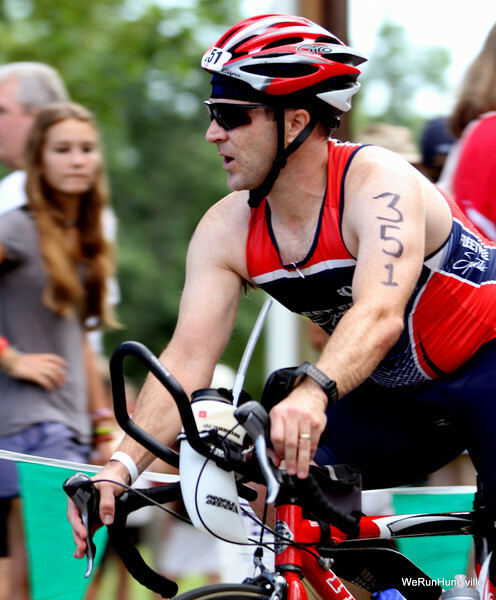 Mountain Lakes Triathlon, Saturday August 10th, 2013. 600 yard swim, 16.2 mile bike and 3 mile run. It was nice having a couple of weekends off and enjoy some family camping and the Summer Sizzle Super Metric Century. Training has been pretty good overall the past few weeks, considering that my kids soccer season is underway and school has started back. I know some people wouldn't think much of it, but I was a little concerned about doing a 75 mile bike ride the weekend before Mountain Lakes Tri. I'll let the results (or impact) speak for itself. Enjoyed some family activities on Friday night and as usual did not get to bed as early as I would have liked. Normal routine race morning. Loaded up water bottles, bike and consumed my superstition nutrition. For those of you not in the known on superstition nutrition, it is whatever you tried that worked and didn't cause intestinal distress during your race. Mine just happens to be caffeinated coffee, a small glass of OJ, 1 slice of peanut butter toast, and 1/2 serving of quick oats with craisins, brown sugar and cinnamon. I took about 50 minutes to drive to the rec center in Guntersville. 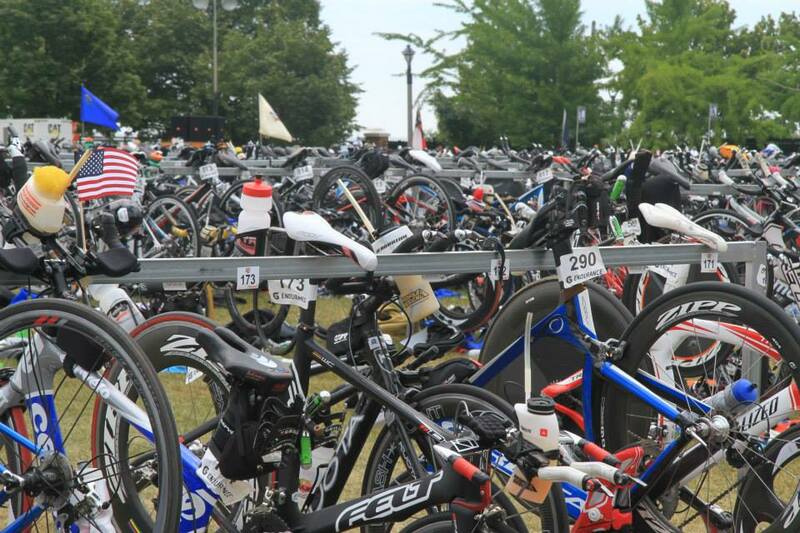 No rush to get a primo rack spot since this race racks you by bib number. I arrived about 0545 and went through the packet pick up, which was painless. I was bib #351. Got my transition area set up and went for a short jog, then followed that with two 1-minute openers on the bike. Last bit of nutrition was a Strawberry Honey Stinger waffle about 20 minutes before race start. This is one race where the "bucket people" are on to something. I usually don't see the need to bother cleaning my feet after the swim, since you're gonna pick up more gravel on the way out of transition. However, I used it last year, and again this year decided to put a small square plastic container just big enough to step in and out of in transition. It washed all the grass/mud off my feet and then I stepped onto a small towel before sprinting out of transition. overall pretty average. Looking at my time, I could tell that I did not push it hard enough. I think this was attributable to being in the front of the swim pack and also not being able to find a set of fast feet right off the start. I didn't have any problem with the turns or sighting. Although, the final turn towards the beach was looking right into the sun. I just swam towards the burning reflection of the rec center roof. This worked as the lone buoy on the final stretch surprised me directly in my path, as I was blinded by the sun most of the way in. 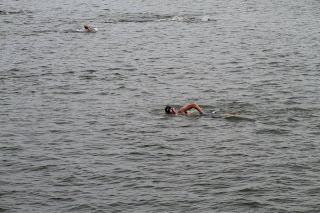 I didn't pass as many people on the swim, but that seems to come with being in the front of the swim start line. Did I already mention the wet grassy mess between the swim exit and getting to transition. I must say it was a wet July in Alabama. Transition was pretty fast. Considering the distance between timing mats and the other racers in my age group (who have been doing this a lot longer than I have) I am very satisfied with 1:14. If you're not racing in T1 & T2 you are giving up precious seconds. Flying Batman bike mount and off to the [cycle] races. (someday soon) with disc wheels rolled by (swoosh, swoosh, swoosh). This was to be expected and I didn't let it bother me. 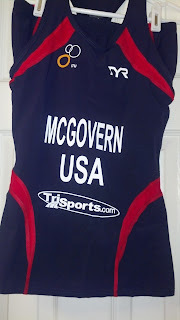 Once they were out of the way, I began to focus on passing the USAT junior triathletes (no small task). Those kids were strong swimmers, and proved to be pretty fast runners, too. As I made the turn onto the causeway, I noticed the two law enforcement vehicles with lights blazing heading the opposite direction. Apparently, a motorist made the left turn off the causeway, straight through the cones and had a head-on with a cyclist. Fortunately, the cyclist was reported to be okay, except for the landing that ruined a perfectly good bike helmet. I guess that is better than ruining a good cranium. In other news, let it be known I kept a good eye out for Waldo Whisenant on the bike course, and I suggest you do the same. Quick transition (4th fastest in my AG) and onto the run course. I started off fast and ran my first half mile at a 7 min/mi pace. Slowed this down to reality and was aberaging a 7:39 pace at the turn around. I remembered that Dennis Mix said he was going to catch me on the bike, well that didn't happen. And I didn't see him on the run, so after the turn-around I was expecting to hear him come running by me and heckling as he did it. So what do you do under these circumstances? I think it's called "Run like you stole it!" And that is what I did. I picked up the pace and high fived most of my teammates on the way back into the finish line. I ran the last 1.5 miles 25 seconds faster than the first half! Final finish time was 1:19:42. Strong bike with an average speed of 22.2 mph. My run pace of 7:35 was a new PR pace for sprint triathlons. I must credit Dennis for this motivation, even though he still beat me by 30 secs overall. I placed 6th in my age group and beat my time from last year by 5 1/2 minutes. Mt Lakes has a great venue and is well directed. The transition layout is done very well and the mill foil was considerably less of a factor this year. The swim distance mapped out very close to 600 yards per my Garmin's calculations. After race pool party and shower facility is always nice to have. Thanks again to Gregg Gelmis and WeRunHuntsville for the awesome photos. Congrats to fellow Fleet Feet Tri Team members, Jeff Schertz and Dink Taylor for taking 1st in their age groups. 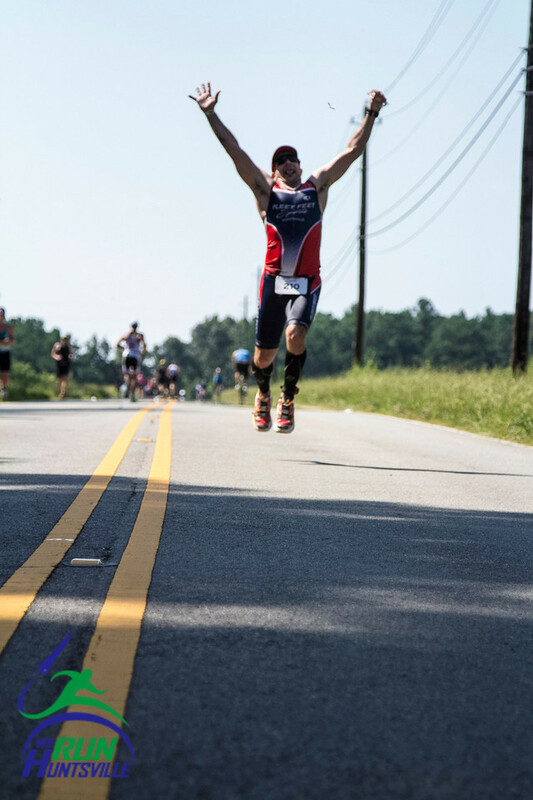 Two weeks to get ready for the second Olympic distance of this season and THE best race in all of North Alabama......[drum roll] Rocketman!! The passport was a must, and the application must be accompanied by original birth certificate. A few weeks later, I received a letter stating I needed to resubmit because they couldn't read the original (55yr old) birth certificate. I thought ....what are you saying....I'm old?? So...I re-submitted! With logistics completed: uniforms, hotel, flight, bike carrier, etc., I was ready to board my first flight. Gulp! I was nervous because I watch the news and worry about that stuff. 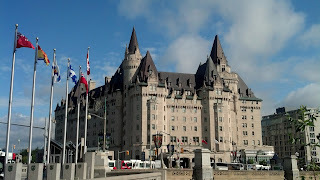 Finally, after many delays, arriving 3 hours past due to Ottawa, Canada, and exhausted, I struggled to stand up to carry my luggage to the elevator. I crashed in my hotel after that. Next day..Thursday...busy work. 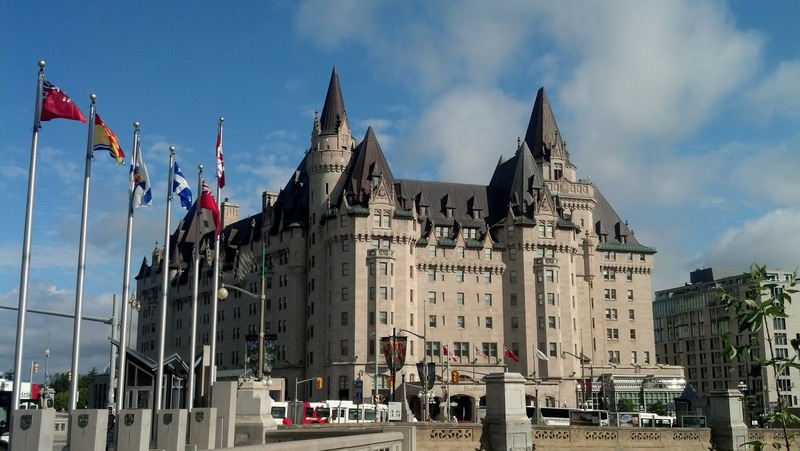 Athletes must check in, breakfast and team run around Parliament and the historical parts of Ottawa. Then I braved assembling my bike for first time. Parade of Athletes that evening with athletes from 24 countries representing. The USA were strongest 400 representing. It was very moving! Tears began trickling! Dinner was with all athletes soon after, with room buzzing chatter. It was awesome! Friday was team ride. It was a 400-rider Peloton through race course for preview. Very tedious if your bike handling skills in tight areas weren't strong. There was one crash with the rider suffering a concussion the day before the event. I was unsure if that athlete was cleared to compete, but it seemed OK. Getting to start line without injury always challenging, so I hope they competed. Okay, now race day. I was composed, but nervous. My wave start had a designated time to enter transition at 6:00-6:50 for wave start at 7:25. The officials were very strict or you would receive a DQ. With many athletes, best as crowd control. As I toed the start line, nerves subsided. I executed my race well. The temperature was 70 degrees with a 20-mph head/cross wind. Nice for runs, but challenging on the bike. It was asolid race for me without any GI or mechanical issues. I finished with a time of 2:44:30. The announcer said that this age group was very competitive. As I looked at the results, USA finished as if it was a XC meet. It was an amazing experience to cross Worlds finish line feeling great! My race plan executed well. I couldn't have asked for more. But the best part of this experience was that I got recruited to assist in the para athletes event as a handler! More tears as I witness an emotional event. I'm so grateful and blessed to have experienced it all. Bicycle Cove had a serious and professional impact on lessing my worries when traveling with my bike. 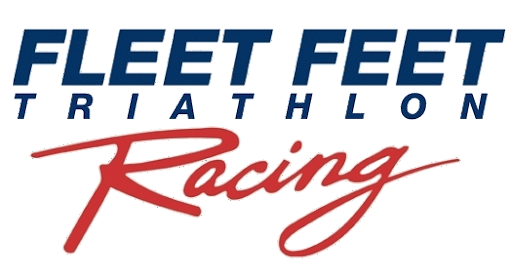 I want to thank my Fleet Feet Triathlon Racing Team members for their cheers and support. None of this would have been possible without my friends, the triathlon community, and Fleet Feet Sports - Suzanne and Dink Taylor for all they do in the sports community. Thank you!